When we talk to our patients about their dental health and wishes for their teeth and mouth, many people tell us they would love to have straighter teeth, but feel uncomfortable about how the braces would look. However, we can offer lots of incredibly discreet, subtle options for straightening teeth, including ceramic braces which use a translucent, clear material. Patients of all ages chose ceramic braces as they know it will help them feel more confident during their treatment, as well as when they see their straight new smile at the end of the process. As ceramic braces tend to be slightly more fragile than traditional metal brackets, they may only be suitable for you top teeth, with standard metal brackets on the bottom teeth, however this depends on your bite. If you are considering teeth straightening treatment your dentist will be able to answer all your questions and carry out a fully assessment of your mouth so they can make a recommendation about the most suitable options for you, including timescales and costs. If you decide to go ahead with ceramic braces you will need to return to the practice every 4-6 weeks so the dentist can check on your progress and make any adjustments needed. It is especially important to maintain excellent oral health during straightening treatment, so you aren’t left with any marks or staining when the braces are removed. Regular dental hygiene appointments will help to ensure your teeth and braces are kept clean and that your new straight smile will also be healthy and bright. To find out more about ceramic braces and to book a consultation, please get in touch. It is important to brush your teeth and brace well three times per day and use fluoride toothpaste. Pay particular attention and brush where the gums meet the teeth. Brushing will take longer and you will be shown how to use inter-dental brushes to clean around your brackets. Use a daily fluoride mouthwash last thing at night after brushing, this has been shown to protect the enamel of the teeth. What do I do if my brace becomes loose or brakes? Check your brace daily and call us as soon as possible for an appointment. Do not be alarmed if a wire or band comes loose, this happens occasionally. If a wire protrudes and is irritating, use a blunt instrument (back of spoon or the eraser end of a pencil) and carefully push the wire under the brackets. If irritation to the lips or mouth continues, place wax or wet cotton on the wire to reduce the annoyance. Call us for an appointment to check and repair the appliances. If any piece comes off, save it and bring it with you to the office. If you repeatedly break the brace orthodontic treatment may have to be stopped. Will I need retainer once treatment is finished? Yes, you will need a retainer to hold the teeth in their final positions. Failure to do this will result in teeth getting crooked again. Retainer can be removable or fixed. If you play sports, it is important that you tell us for special precautions. A protective mouth guard can be supplied for playing contact sports. In case of any accident involving the face, check your mouth and the appliances immediately. 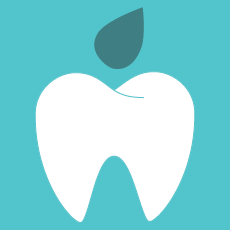 If teeth are loosened or the appliances damaged, call us immediately for an appointment. In the meantime, treat your discomfort as you would treat any general soreness.